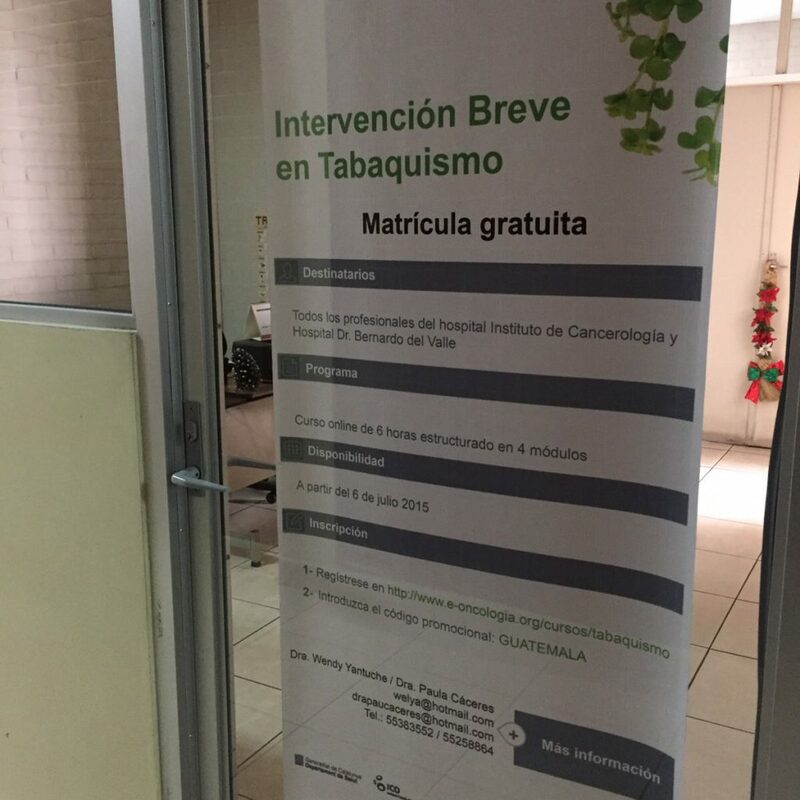 A total of 250 clinicians (mainly doctors and nurses) have enrolled on the online course “Brief intervention for smoking cessation” from three pioneering hospitals in Latin America: the “Oncology Institute of Eastern Bolivia” in Bolivia, the “Cancer Institute and Hospital Dr. Bernardo del Valle” in Guatemala, and the “National Institute of Respiratory and Environmental Diseases (INERAM) in Paraguay through their participation in the “Fruitful” project. 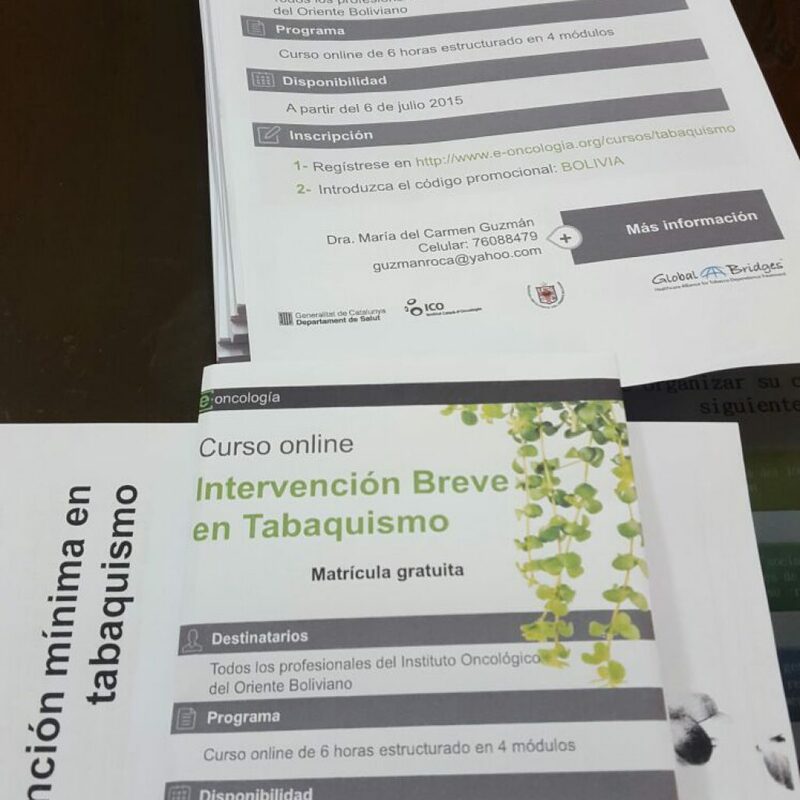 The “Fruitful” project aims are to adapt an online smoking cessation course, originally designed in Catalan and Spanish by the Catalan Institute of Oncology for its use in Catalonia and Spain, for its implementation and evaluation in the three participating hospitals. This 6 hour online course enables clinicians to diagnose the smoker (identifying the nicotine dependence, type of smoker, etc) and trains in the existing psychoeducational and pharmacologic interventions to support smokers to quit. Once the effectiveness of this educational model will be proved, the course will be spread among other institutions from the three participating countries. 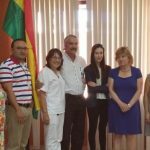 Training health professionals from low and middle income countries in Latin America is essential due to one third of the population smoke and the rates are rapidly increasing in this region. 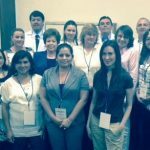 Smoking cessation programs is one of the effective policies recommended by the WHO MPOWER strategy, and it is vital for actively involve health professionals in tackling this epidemic.